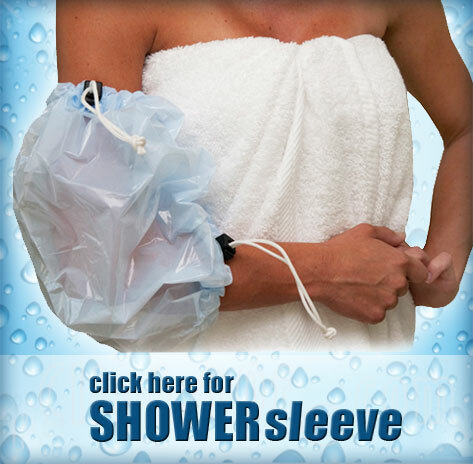 Tired of using garbage bags or plastic wrap to stay dry? Tired of always asking for help to “wrap” your site? Now you don’t have to! With their patented elastic-cord design, the SHOWERsleeve and CASTcover provide waterproof protection in a matter of seconds and you can put it on without assistance. 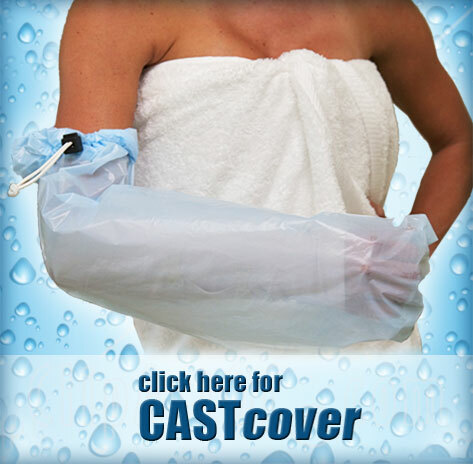 With the SHOWERsleeve and CASTcover, you can eliminate unnecessary medical expenses. They are Reusable and 100% Latex Free!